Major roads in towns are paved though can be in poor condition. Most minor roads are not paved , and will flood every time it rains. 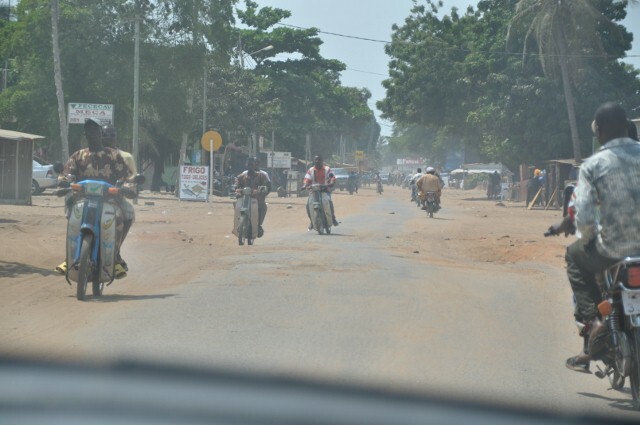 Driving conditions are hazardous throughout Togo due to the presence of pedestrians, large numbers of small motorcycles, poor driving practices, livestock on the roadways, and the poor condition of many roads, which often contain deep potholes. Overland travel off the main network of roads generally requires a four-wheel-drive vehicle. 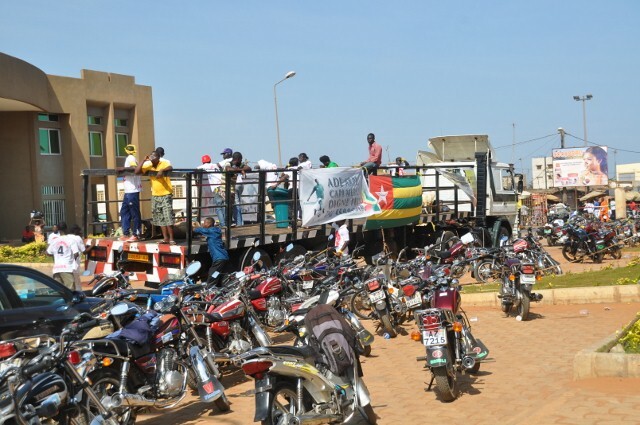 Many drivers in Togo do not obey traffic laws and most traffic signals do not function properly. Drivers should be prepared for the possibility that other drivers may run red lights or stop signs or drive in the wrong direction on one-way streets. Night time travel both in towns and the countryside is dangerous and should be avoided. 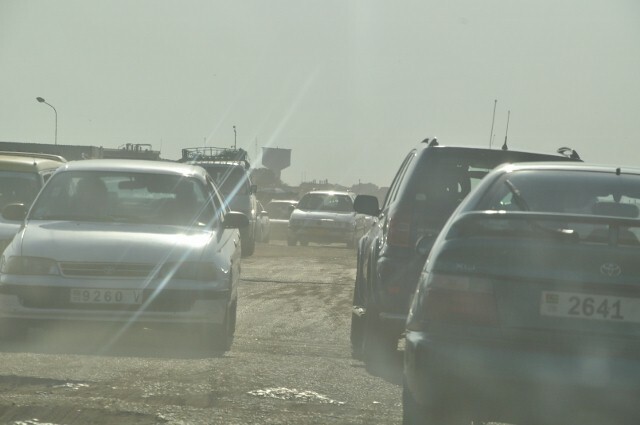 There are numerous checkpoints manned by poorly paid conscripts who will often be seeking a bribe to let you pass. This is the case on minor and major roads including the Lomé-Cotonou coastal highway.This main road along the coast is in fair condition most of the time, until the local authorities decide to dig it up. 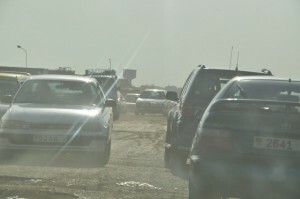 Then expect detours through small villages on pot holed sand roads. These route changes can double the length of your journey. 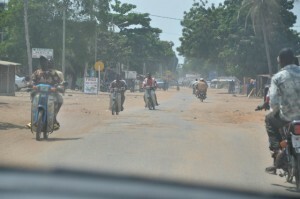 The last few miles of road leading to the Benin border at Hilakondji has deteriorated badly. Driving standards are generally poor- I’ve had some seriously scary moments travelling in taxis in Togo, especially outside of towns. Driving in towns and Cities is quite chaotic but the lack of speed should mean any collision is limited to minor bump. Its out on the open road where things get dangerous. Togolese drivers think nothing of pulling out to overtake in the face of oncoming traffic. I’ve seen this around the world in buses and lorries but in Togo, the drivers of battered saloon cars seem to think they’re in an armoured car as they embark on a hair raising game of chicken. My preference in Togo would always be to drive myself and drive ultra defensively. i.e at every bend or corner expect a lunatic coming towards you on the wrong side of the road! 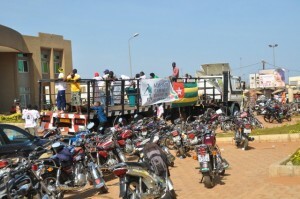 There have been reports of staged accidents in Lome involving motorbikes or pedestrians colliding with cars on purpose. A crowd will then gather and the mood can turn ugly until money is handed over. If this happens you should leave the scene and drive straight to a police station or your countries embassy and report the incident. Carjackings are periodically reported in Togo and tend to increase during the summer months and holiday seasons. Hertz, Europcar, Avis, Budget, have branches here.I was unable to locate any local firms with a web site. International driving licence is needed. Hertz don’t allow cross border driving. Budget don’t make this clear but say if you take a chauffeur driven vehicle you pay extra for each days its outside Togo. I want to visit Togo by car. Are you allowed to drive a righthand drive vehicle in Togo? I’m not aware of any rules saying you can’t Johan. However, having driven in Togo and experienced the traffic police, if I were you I wouldnt give them any opportunity to stop you and extract bribes/gifts. I’d write to the Togo embassy in your country and ask them to confirm in writing. My guess is there are no rules against it but to have that in writing from someone in authority would be useful I think.